This is just gorgeous hun, love the other colour! Pat, red is usually my choice as well. I love the polka dots with this beautiful image. So elegant. Great card Pat. 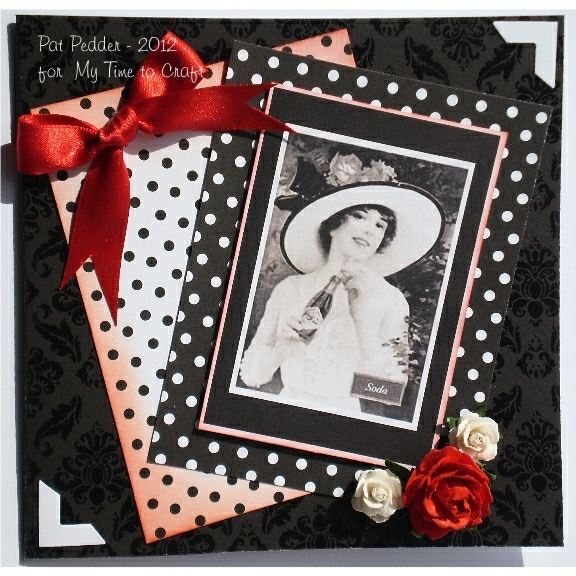 Love the dotty bp's and the embellishments. Love the vintage feel, Pat! Beautiful! Pat, I love this card, It is a beautiful little piece of art, everything works perfect together. I love it. What fun. Thank You so much for shareing with us at Dilly Beans this week. Ohhh Pat! Gorgeous card, its so elegant! A wonderful colour combination! I love the corner punches on it. Thank you for joining us at Simply Create Too for Challenge #21. Lovely card, those colours are just great together!. Gorgeous! Love the design and your beautiful papers. Thank you for playing along with us at Digi Doodle Shop!! This is gorgeous, love this image and the colours together. I love this color combo! 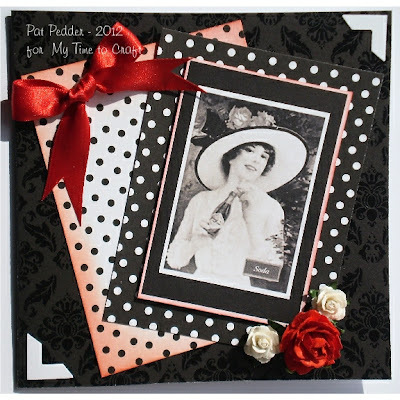 The layout looks fantastic and love your choice of fab papers and image! I love this - put a big smile on my face. This looks like the movie stars I grew up with! !